From 'No Way,' To Global Success: The Inspired Journey Of GM's Design Chief A lover of cars since he was a little tyke who later trained as a sculptor, Ed Welburn has shaped the physical world we live in as the longtime head of design for General Motors. 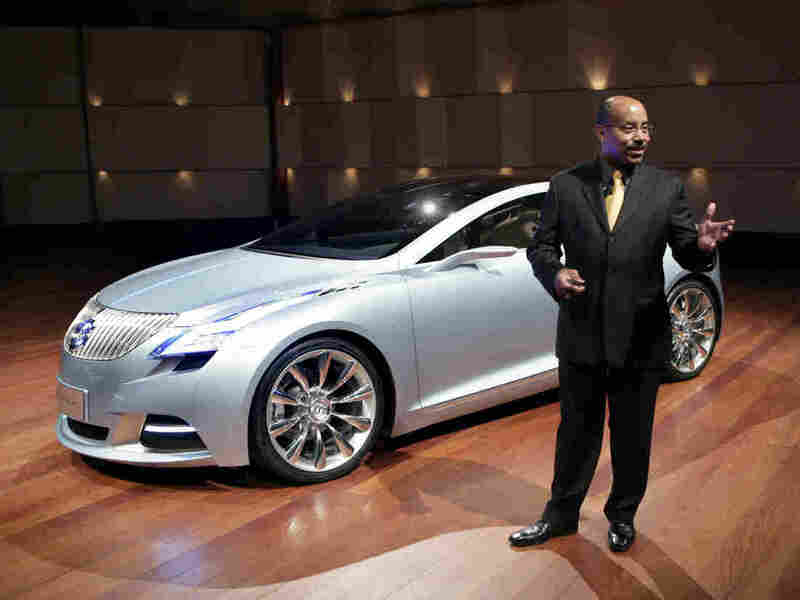 Ed Welburn, vice president of General Motors Global Design, stands with the Buick Riviera concept as it makes its North American debut at the North American International Auto Show in 2008 in Detroit. Car designers are a type. They stand out from the engineers, accountants and lawyers that populate the car business. By all accounts, Ed Welburn, General Motors' first global head of design, is quiet, focused and congenial. This year, he retired after 44 years at GM. "These are oversized individuals," says Bill Pretzer, a curator with the Smithsonian's National Museum of African American History and Culture. He's referring to famed auto designers like Chuck Jordan or Harley Earl. "They have huge personalities and are in many ways grandiose, and Ed is exactly the opposite," Pretzer adds. Welburn's passion for cars started early. He didn't come out of the womb thinking about cars, but by age 3 he was drawing them. And before he could properly tie his shoes, he was fixing bikes in the backyard. In 1959, when he was 8, Welburn's parents took him to the Philadelphia Auto Show and changed his life. 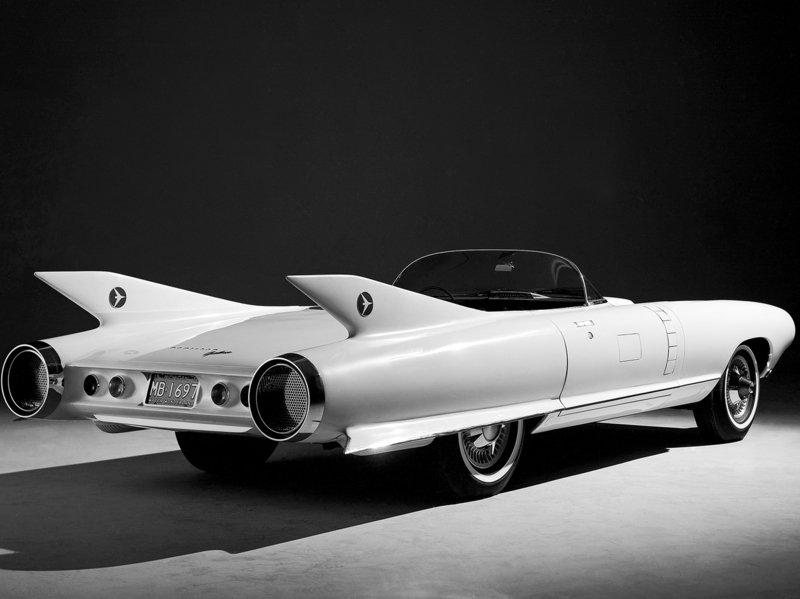 When Ed Welburn saw a 1959 Cadillac Cyclone concept — think rocket ship on wheels — at an auto show in Philadelphia as an 8-year-old, he knew he wanted to design cars. "I saw that car, and that car took me from being crazy about cars to this is it — this is what I wanna do," Welburn says. That car was the Cadillac Cyclone, a concept car. Chuck Jordan, the famed promoter of the fin at Cadillac, was just arriving on the scene. When you look at the Cyclone now, it's easy to understand how it would have captured a young boy's imagination: It's a rocket ship on wheels. It wasn't just that Welburn wanted to design cars. He wanted to design crazy new-age cars like the Cyclone. "It was an emotional connection," he says. "And that's what I strive for in every design that we develop. ... That car connected with me," he says wistfully, sitting in GM's Burbank design studio, one of 10 around the globe that Welburn led for more than a decade. "It was through car magazines that I found out where that car came from," he says. At age 11, Welburn wrote a letter to GM Design. "I want to be a car designer when I grow up. What courses should I take? What do I need to do?" he wrote. GM wrote back! The head of personnel sent the young man brochures to the top design schools. The automaker knew he was 11, but it seemed to take him seriously. When he was in high school, still obsessed with cars and designing them, Welburn began to apply to design schools. But his youthful enthusiasm soon met the reality of being an ambitious smart black man in the 1960s. "You make it through the first wave because your grade-point average was excellent and then you present your portfolio," he says. "Design school after design school that was on that list from GM rejected me. And that was this big shock to my system." It's important to understand that getting into a car design program is a direct pipeline to designing cars. Students are recruited in their freshman year. An internship with a car company often turns into a job. Bill Pretzer with the Smithsonian says that Welburn's family was in many ways typical of their time, determined to move up the economic ladder. "There's a phrase in many African-American communities called 'making a way out of no way.' ... If confronted with obstacles you still find a way. And this was a family that consistently found a way to make a way out of no way." There's a phrase in many African-American communities called 'making a way out of no way.' ... If confronted with obstacles you still find a way. And this was a family that consistently found a way to make a way out of no way. The Welburn family's way was through Howard University. Welburn was accepted into the art school at the historically black college at a powerful moment at Howard and in the country. He was a sculpture student studying under the great Harlem renaissance painter Lois Jones. The university already had a design program and a sculpture program. It created a car design curriculum for Welburn from within the art school. He says his unconventional school would become a benefit. "You could hear Roberta Flack in the music studio studying. You go down the hall ... and there's Debbie Allen, Phylicia Rashad there studying. We were all students together. That was an incredible environment in which to grow," he says. It was that environment in art school that burnished his skills as an artist and placed him firmly in the black art world. Eventually, Welburn would get an internship in GM's sculpture studio. It was a summer program and by then he was hooked. Welburn says he learned as much in those 10 weeks on the job as he would in two years in the classroom At the end of that summer, Welburn says he heard from his boss: "He said, 'You just go back, finish your senior year at Howard. We wanna hire you.' "
So Welburn went back, finished his senior year and turned the internship into a career that would last 44 years and make him the highest ranking African-American in the history of the auto industry. His first project was to design the tail lamp for the Pontiac Grand Ville. Ed Welburn was an intern at General Motors Design in 1971. He began his GM career the following year as an associate designer assigned to the Advanced Design Studios. "The guy has impeccable design sense and judgement," says Stewart Reed, a renowned car designer and chairman of Art Center Transportation Design. He says you can tell a Welburn design: "You know when it comes to seeing a car's posture and proportion, and then right down to the details that support the overall character of the car." You have got to have a very clear vision of what you're doing. You have to have great collaboration across the company in what you're doing. There must be a collaboration between design and engineering. Most importantly: "I don't design the cars for me. ... You design it for your customers. You've got to listen to them, spend time with them." It was that kind of thinking that led Welburn to hit after hit in the car world. In 1996, Ed Welburn began a two-year assignment at Saturn. That led to an assignment in Germany, where he worked on future GM global design programs. He led the design team at Saturn. He was instrumental in designing or redesigning vehicles such as the Volt, the Hummer, the Escalade, the Corvette and many others. Reed says Welburn's job and his impact is less about picking this fin or that color. He likens Welburn to the great conductors. He set a standard and allowed his designers freedom, Reed says. "The guy that you want responsible for the orchestra should be an artist, a musician," Reed says. "And maybe they're not good at every instrument. Maybe they're a pianist or something, but they have a sense of how all these talents work together for a result." 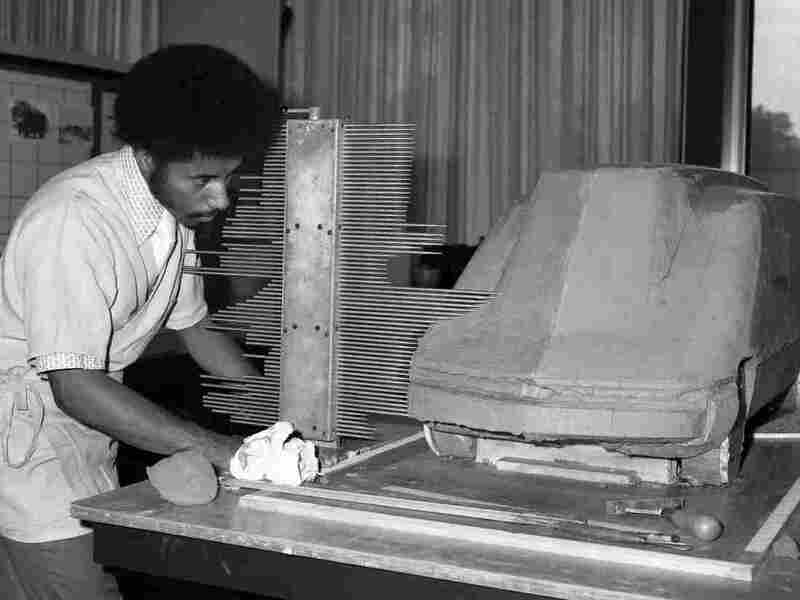 Reed says that because of the dignity and the skill with which Welburn worked in the corporate environment, "he has placed design on a much higher plane. It's respected more. Designers at GM are doing well. They're respected, they're getting great results. They're supported by the rest of the corporation because of leadership." All that, Reed says, is still somewhat unusual in the car business. Glenda Gill is an automotive consultant, who spent years as a consultant and lobbied the industry for more diversity. She was executive director of the Rainbow PUSH Automotive Project. "We always state about being twice as good. Just know that [Welburn] was three times as good in his industry, and well respected, and was a mentor to many," she says. As the head of design, Gill says, Welburn reshaped car design but was also a beacon for African-Americans throughout the industry. More importantly, she says, by his example he taught the car business a lesson. She says somebody decide to take a chance on him, "and guess what? They won." She says Welburn is the embodiment of what diversity can bring to a company: "He's great, he's passed every test, we're going to [pick] him based upon his merit and see what he does, and he did it."